We thought calling them ‘Kiss My Disco’ said what the nights were and weren’t in three simple words! This was a quality checking tool that we created co-produced with a group of people with learning disabilities from Southdown Housing. Instead of coming up with a list of standards of what ‘quality support’ looks like they came up with a series of questions. We all have different ideas of what quality means to us. 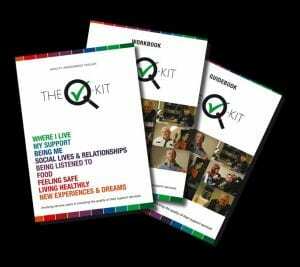 That’s the idea behind The Q-Kit. Even though the project ended the ideas behind it carry on in our own Quality Checking Project. This was our response to the appalling situation where people with learning disabilities and people with autism were being put in Assessment and Treatment Units (ATUs) – often hundreds of miles away from their families. 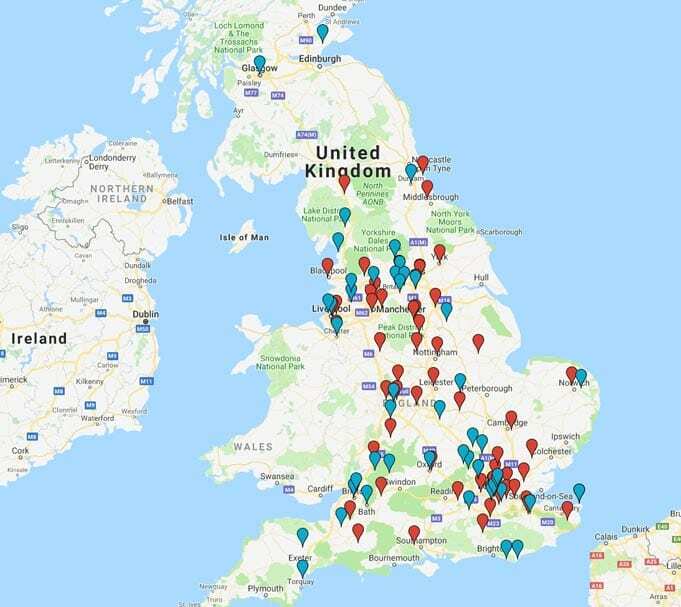 Our idea was to simply try and locate where these sometimes secretive places are located, and ask people to volunteer a room in their house so people visiting their loved ones had somewhere to stay. The arts is still very much in our bones at Stay Up Late (most of the team are performers of one sort or another) and occasionally we get involved in arts projects. ART-is what a partnership with arts organisations from the UK, Iceland, Spain, Turkey, Malta, Finland, Belgium and Poland. Read more about ART-is here. 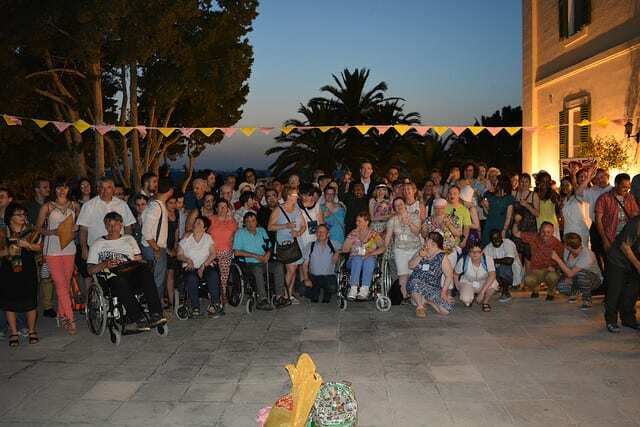 We’ve also run creative song-writing workshops at conferences and written a musical with people with learning disabilities from Finland about a giant flying pie, called ‘Pie in the Sky’. 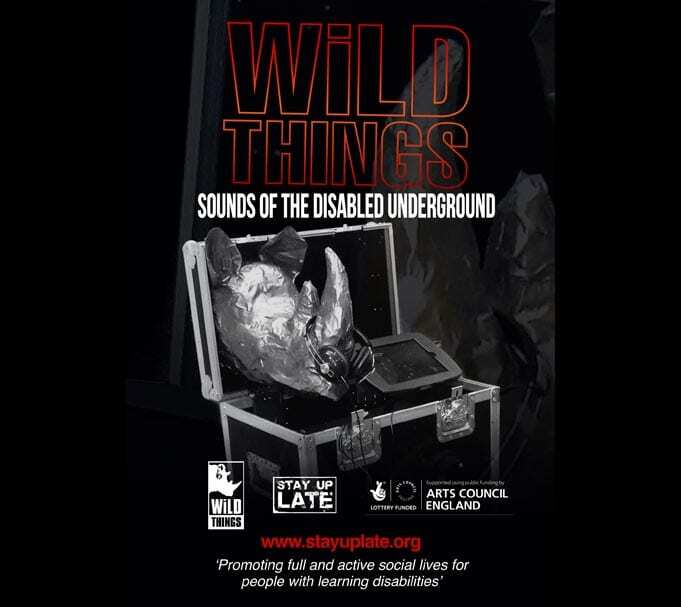 As part of our Wild Things project we created a juke box with a couple of artists from University of Brighton (one of who has a learning disability). 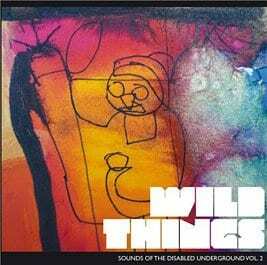 The jukebox contains all the music we collected through the Wild Things CD compilations all displayed with amazing rhino heads sculpture made out of vinyl records, felt and gaffer tape. Read more about the juke box here.